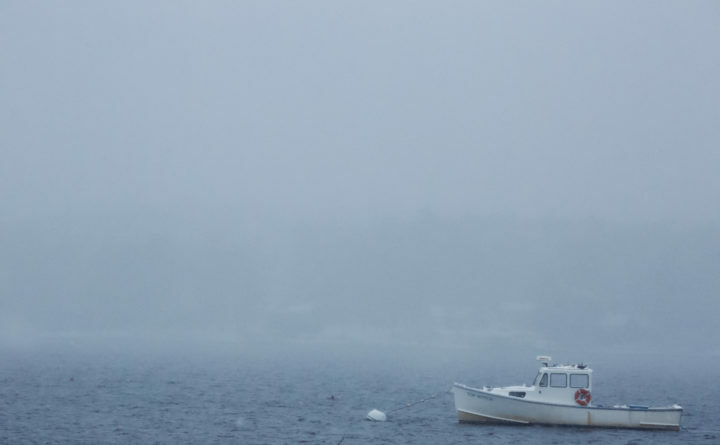 A lobster boat floats amid swirling snow on the Sheepscot River in Wiscasset. Medical science has shown that the short days and lack of sunlight in northern latitudes can have negative physical and emotional effects on some people. In fact, seasonal affective disorder, or SAD, is treated by doctors and therapists as a real and potentially life-threatening condition. Four times more common in women than in men, it often does not appear until a person is in their 20s, and its impact does decrease with age, according to Dr. Amy Movius at Eastern Maine Medical Center, who adds the chances of being hit with SAD increase the farther north a person lives. Symptoms can also include changes in appetite, with cravings for sweet and starchy foods, weight gain, a “heaviness” in the arms and legs, reduced energy levels, fatigue, a tendency to oversleep, difficulty concentrating, irritability, increased sensitivity to social rejection and a tendency to avoid going out at all. Exposure to sunlight is important as it helps the release of the neurochemical serotonin in the brain which is associated with healthy moods. Serotonin levels impact sleep patterns, appetite, memory and learning and those levels can dip without enough sunlight exposure, resulting in SAD. According to online weather data computed by the U.S. Navy, Bangor averages less than nine hours of sunlight per day in December, assuming there is no cloud cover, which can be the case about 50 percent of the time. By March the amount of daylight in Greater Bangor is up to around 10 hours and continues to increase until the longest day of the year in mid-June, when there are more than 15 hours of daylight. Those darker months can be a real issue for those affected by SAD. But rather than doing like the bears and hibernating away the dreary months of winter, there are other, more healthy options. For those days when getting outside is an issue or when there is no sunlight, use of specialized light boxes that simulate sunlight is an alternative. These boxes can be purchased online through Amazon.com or at most major retail department stores. Adding vitamin D, normally absorbed by the body from sunlight, via supplements can also help battle SAD. Vitamin D supplements are available over the counter. from most pharmacies and drug stores. Movius stresses that if a person suspects they may be suffering from SAD that they should consult with a medical or mental health provider not try to go it alone.